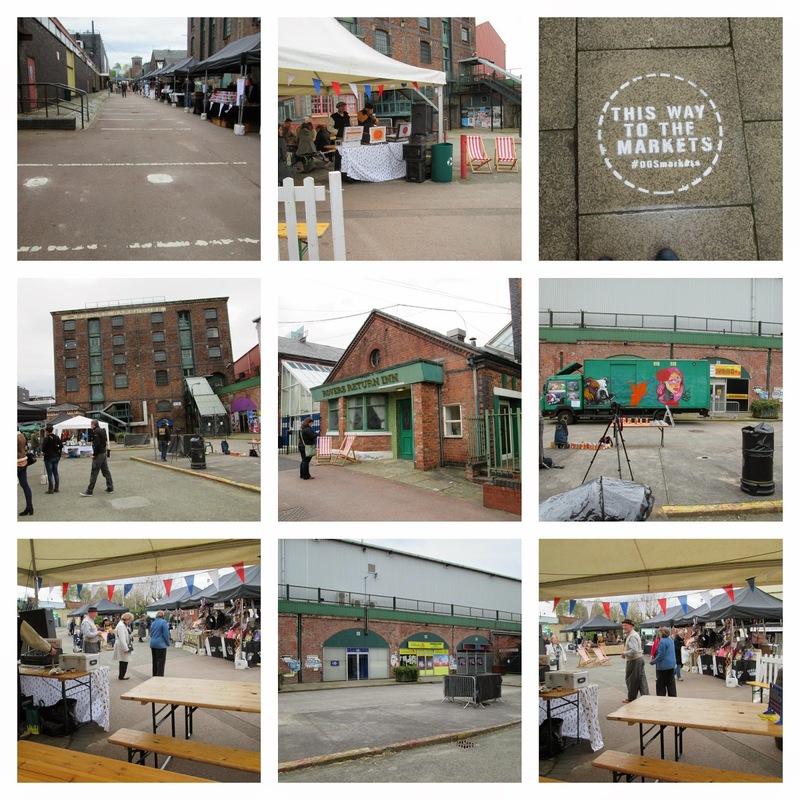 I had a day trip into Manchester today, I had an email about a Market market being held at the Old Granada Studios on Water Street and decided as I had the day to myself to go along and see what it was all about. When I arrived in Piccadilly gardens there was a Nescafe stand handing out free cups of coffee and I grabbed myself a cup which was a nice welcome. I work in Manchester so I am there every day but some times when you go as a tourist you see things you wouldn't normally notice. Today I noticed this wall saying "piccadilly gardens"
There is going to be a few markets over the coming weekends each with there own theme. 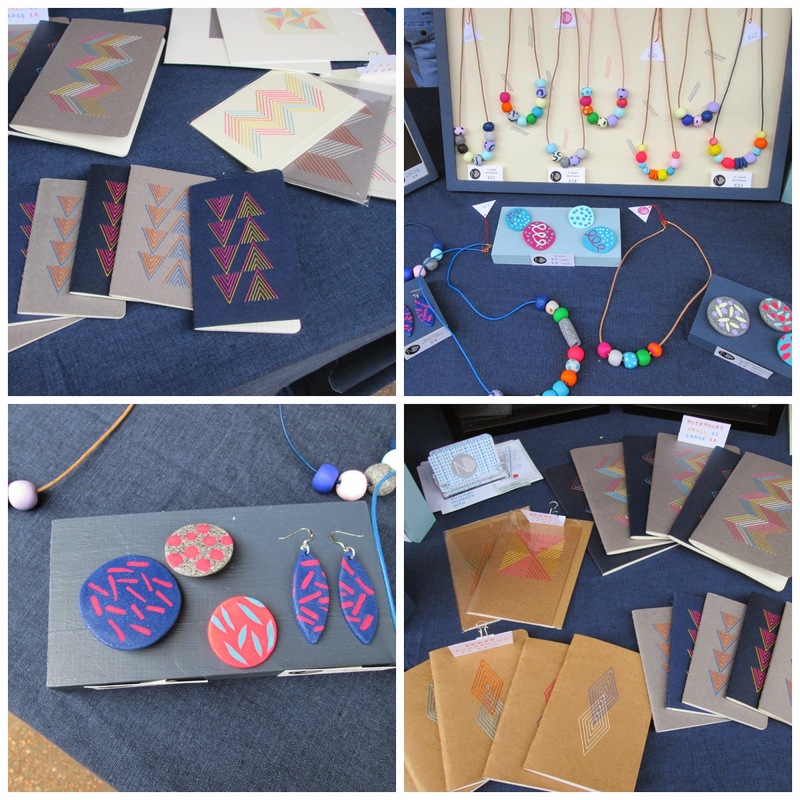 This one was "Makers Craft Market" which really appealed to me. 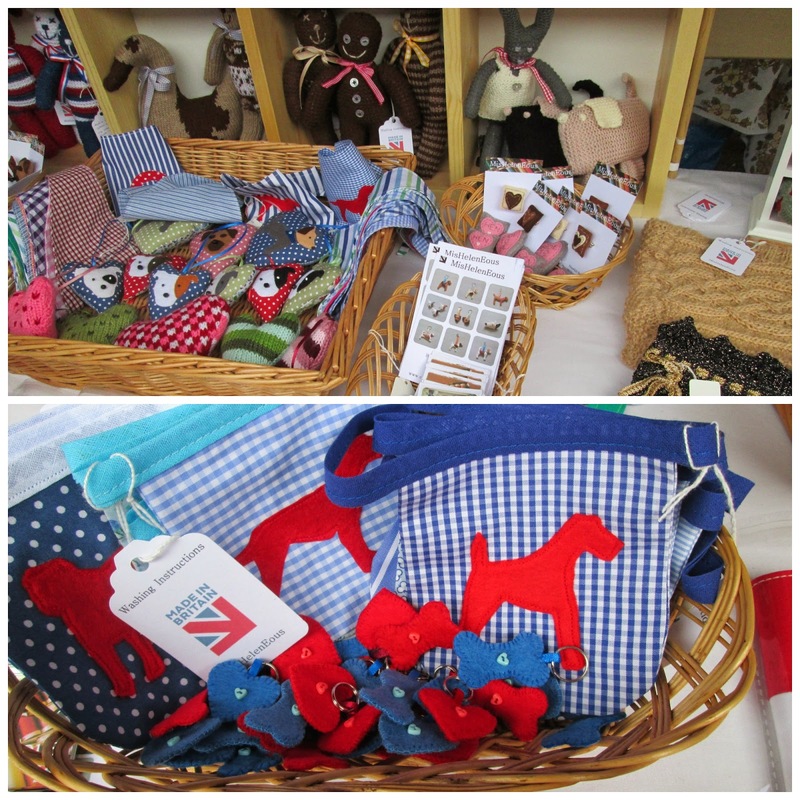 The first stall I looked at was called I used to be, it's run by Vicky and she welcomed me warmly and talked me through what she does (she also does craft classes and workshops). 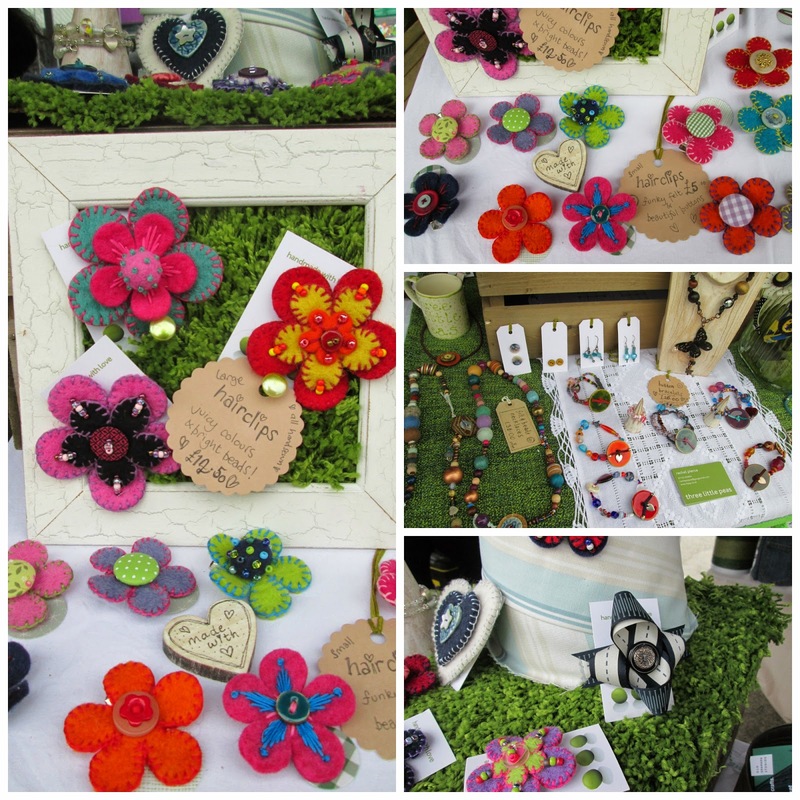 Everything is reused and upcycled and very pretty. I love the tote bags with the corrie theme. I had a wander around and some of the stall holders were really lovely and had a warm welcome for everyone who stopped at there stall. My inner magpie drew me to Ness Donnelly's stall, the photo's don't show it but some of the beads have glitter in them. Others are bright neon are all pretty unique. She also has hand stiched note books, cards and pictures. I got myself a brooch. Grey glitter and neon dots. The next stall really made me want to get a dog, I know I can't but wow! "Handmade gifts for you, your home and your dog"
The grey and pink hearts in the little basket were perfect for hen do's they said bride to be and hen. Some lovely products. There were also some crochet poppies sadly I didn't get a photo of one but I might have just ordered myself one from her Etsy shop. 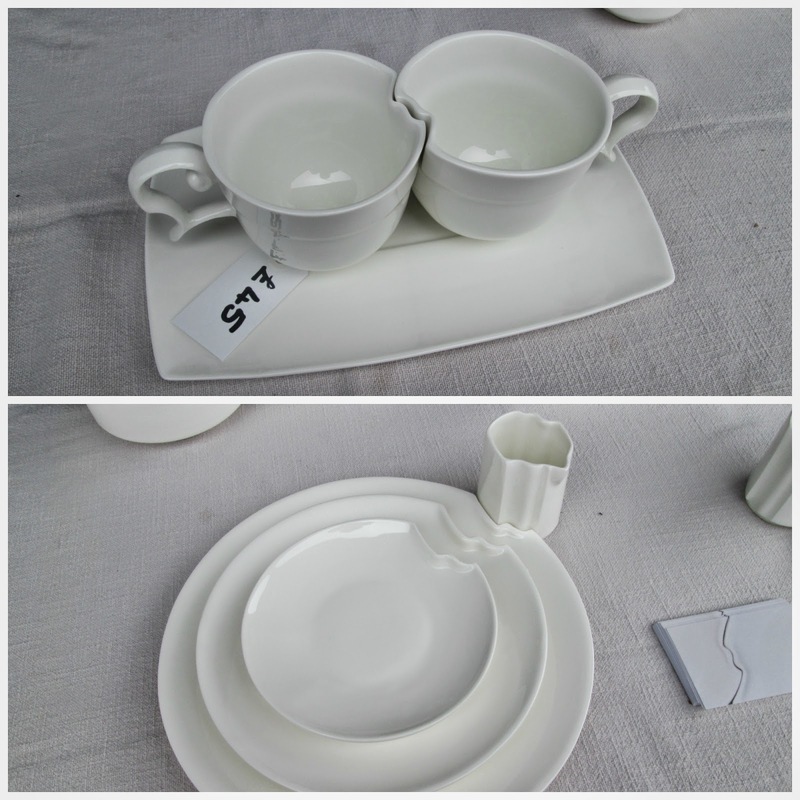 I was facinated by the crockery on the next stall, it's a really interesting design and like nothing i've ever seen before. It's currently made in Maccelsfeild but they are planning a move to Salford very soon. Everything is designe to fit into each other. 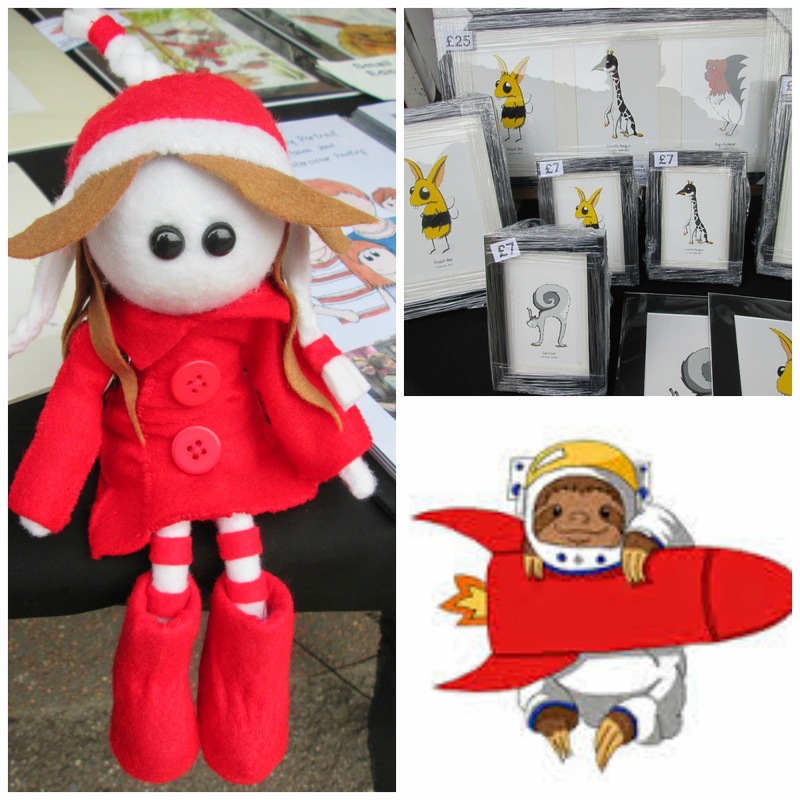 There really was a massive array of differnt types of products and the Happy Sloth was another stall selling prints direct from the Artists, they have cute prints, some more contempory works and animal mash ups, the Bunny Bee is my favourite and I'm slightly disturbed by the penguin giraffe. I also hear there is a porcupine camel in the pipe line! They also had a 3D verion of of of the drawings which was amazing. I kept using the word amazing and great but they really were! The Warrior Chick is another upcyle stall. Re-use, Recyle and how fab are the staw book marks. 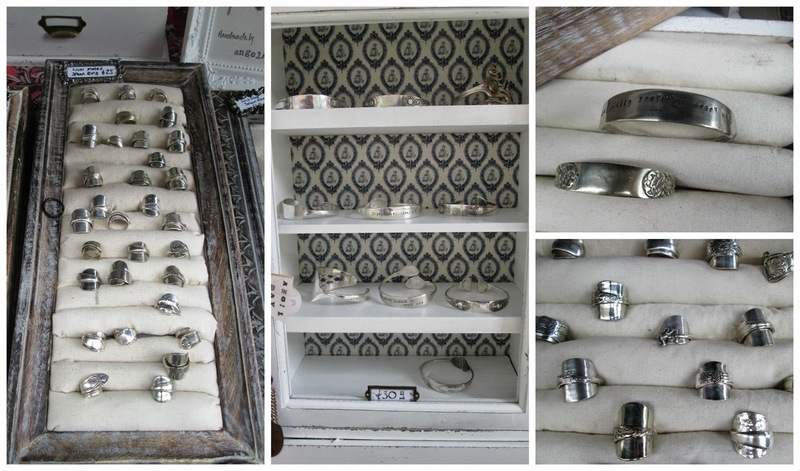 I really wish I'd taken more money with me as Angel May Vingtage had spoon rings and bangles, they really are beautiful and a little bit differnt. I got the robot and the dove on a purple spot backgrground. My favourite thing from the next stall are the wire pictures, they are facinating and another thing that I haven't seen before. They also make one off and unique items of jewllery. 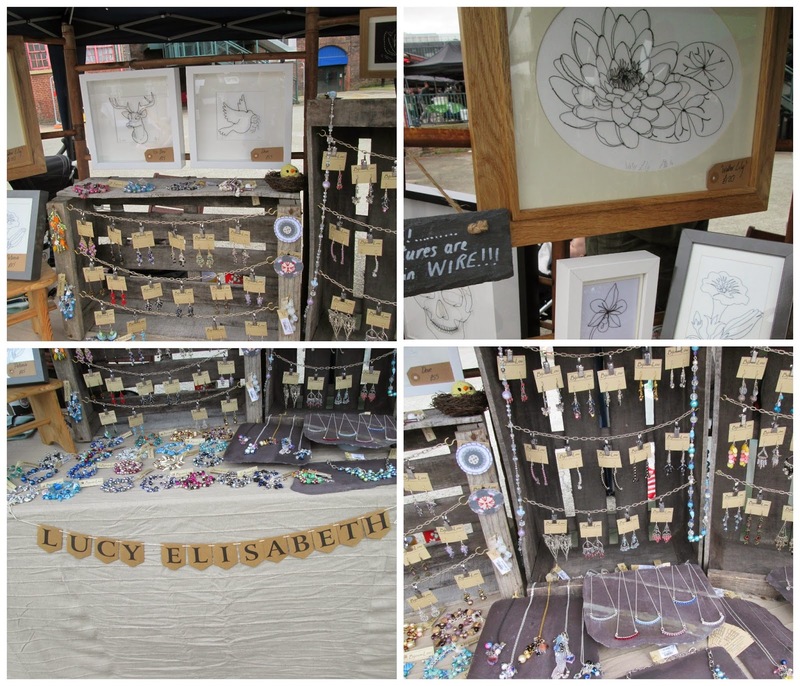 This market really appealled to my inner magpie and sadly I didn't get to speak to every stall and I didn't get pictures of all the stalls which was a shame as thinking back there were quite a few more stalls than I've taken pictures of. Can you see an Oldham cup? I'm seeing things I missed when I was there in person. I love the hair grips from this stall. I could have a tea party every day! Another later spot is the camera pendant. I love this. I could have happily bought every framed print of this stall, I regret not getting the Cat in the top hat print, I think it was £7. It's one of those stalls that every time you looked you saw something else. I didn't really look at this stall just snapped a photo but looking at the picture I wish i'd spent more time looking at everything. It's safe to say I had a lovely day, I've had a happy buzz around me all afternoon. I've also had a look through all the business cards I collected tosay and followed a lot of the stall holders and I will be back. Despite the cold and the wind there was a really great atmosphere and there were people there who had been on the Corrie set tour and others like me who had gone purely for the market. 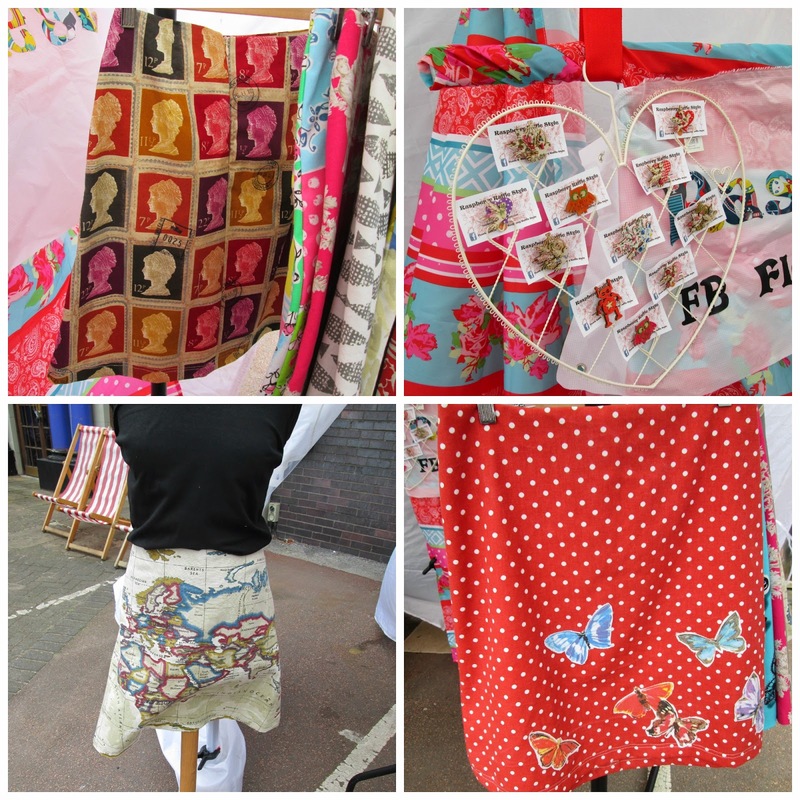 Sunday 27th April - Vintage market. I wasn't sure what to expect and almost didn't go but i'm glad I did. I think these one off markets are a great idea, there are other markerts in manchester that have the same stall holders week after week and I never go. I'm hoping to go back to the fashion market. My cousin lives in NZ as well. I think she lives in / near the bay of plenty? Not very good at knowing if that is close to where you are or not but I regconise the name Rotorua.